A graduate of Northwestern University, PAUL MASON (Executive Producer) has twice been awarded Fame Magazine’s Critic Award for writing and producing the best television detective series (McMillan and Wife), has been nominated for the Emmy for best television series, (Ironside), and produced the series which won the first Image Award from NAACP, (Ironside).As Senior Vice-President of Production at Viacom and Showtime for the last 10 years, Mason was responsible for $300 million dollars in annual production. He analyzed costs for all projects produced by Viacom Production, set the financial guidelines in accordance with the finance department, hired the necessary personal to produce the projects and supervised them to completion. During his ten years at Viacom his actual results were within plus or minus 1% of his estimates.Mason recently served as executive producer on the remake of The Amityville Horror which was the last film released by MGM, prior to its purchase by Sony. At Viacom, Mason, as Senior Vice President of Production, supervised the television series, Diagnosis Murder, Sabrina The Teenage Witch, ED, The Beat, City Lights, The Chris Isaak Show, Resurection Blvd, Oz, Hoop Life, Lincs and Matlock, among others.On the television movie and pilot front, he supervised The Contender, Airtight, Avalon, Sabrina Goes to Rome, Sabrina Down Under, Disciples, Inferno, Silencing Mary, Bouncers, Ghosts of Fear Street, Alibi, Fast Company, Gramps, Brothers of the Frontier, My Very Best Friend, Journey to Mars, Perry Mason Mystery Movies, Ray Alexander Mystery Movies, Sin and Redemption, Desperate Journey, and others.In 1990, Mason developed and established the Original Movie Division under President of Showtime movies, Fred Schneier – the product of which included Keeper of the City, Nails, Devlin, The Fear Inside and Scam. 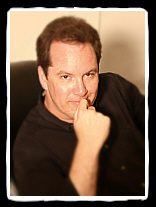 As an Executive Producer or Producer, Mason’s credits include Where Sleeping Dogs Lie, Nickel and Dime, Ski Patrol, Ghosts Can’t Do It, Tender, Kansas, Full Moon in Blue Water, For Better or Worse, Committed, Teen Witch, I, Madman, Seven Hours to Judgment, Out on Bail, Killer Klowns from Outer Space, The Further Adventures of Tennessee Buck, The Wild Pair, Programmed to Kill, Survival Games and California Kid. Mason was also the producer-writer on The Ladies Club, served as co-executive producer on Fall Guy and Manimal, and supervising producer on CHiPs. 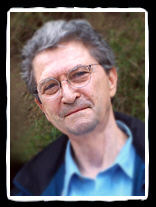 Mason began his executive career as Vice President in Charge of Development for David L. Wolper, where he worked on Chico and the Man, Roots and Man, Myth and Monsters. DAVID WORTH (Director) believes that his passion for cinema began during high school, when he was inspired by a viewing of Orson Welles’ Citizen Kane. “I knew that I wanted to become a filmmaker and somehow I had already taken the first step…”Majoring in Motion Pictures at UCLA, he gained hands-on experience in writing, photographing, directing and editing, while screening and studying every film he could find, from D.W. Griffiths’ Intolerance to Stanley Kubrick’s 2001.Influenced by the European New Wave filmmakers, Worth eventually picked up a camera and began pursuing small independent features. 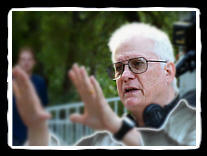 He was frequently hired as a Cinematographer / Editor, but found himself doing everything from treatments, scripts, budgets and production boards, to casting, crewing, storyboards, second unit and production supervising.Eventually gaining a reputation as a Director of Photography who could deliver a quality look on a modest budget, earned him the attention of Clint Eastwood. “I consider the year that I worked with Clint to be my PhD in filmmaking… We had an excellent rapport from day one, because we both loved the films of John Ford and hated the thought of wasting any time or money…” Their first feature together, Bronco Billy, came in two and a half weeks under schedule, largely due to Worth’s lighting technique, which saved the production over a million dollars! It also became one of the most critically-acclaimed Clint Eastwood films ever. Their next feature, Any Which Way You Can, received the Academy of Country Music Award as Picture of the Year and also became one of the top grossing films of the decade for Warner Brothers. Later, he photographed Bloodsport then directed Kickboxer. Both films combined cost under 5 million dollars to produce; still they became martial arts classics, launched the career of Jean-Claude Van Damme and did astounding grosses worldwide. After teaching filmmaking at UCLA, directing episodic television, photographing and directing the thrillers Tim Lapse with Roy Scheider and The Prophet’s Game with Dennis Hopper, Worth admits to bringing a fist full of experience to any production. Having worked with indigenous crews all over the world, from Sweden, South Africa, South America, Italy and Mexico; to Hong Kong, Thailand, Macau, Indonesia, Israel and Bulgaria, he believes that with today’s technology, quality films can be made anywhere. He recently became a Canadian resident and is actively planning productions there. DAVID OMAN (Producer/Creator/Co-Writer) is not only responsible for creating the story of House at the End of the Drive, but he’s supplying his dog Sebastian as a co-star, and he’s financing the film himself – a calculated risk for someone making his feature film producing debut. But if you ask him about that risk, he’ll simply say he’s on a mission that will succeed.A native of Los Angeles, and the son of a prominent LA real estate developer and builder, Oman attended Beverly Hills High School with his House at the End of the Drive screenwriter Jim Vines.He attended both Menlo College in Northern California and USC, but dropped out of school to work. Following a two-year stint as a page for ABC, he helped a friend serve a subpoena, which led him into a 12 year career as a skilled private investigator, specializing in fraud and divorce cases.Picking up the entrepreneur gene from his father and the business acumen from his mother, Oman left the investigative business in 1998 to open a unique fast delivery ribs and chicken restaurant called “Ribs USA.” He then used his experience to produce a video entitled, The Original Bachelor’s Barbecue Show,” an instructional video that offers expert help in developing the barbecue experience into high culinary art. After a stint as an executive responsible for developing studio connections for the first wave of video on demand services, Oman started helping his father build a house on Cielo Drive – what would become the house featured prominently in House at the End of the Drive. While building the house, Oman also pursued acting work, making his starring debut in The Spirit World (he had previously appeared in small parts in Back to School, Rules of Engagement and Snow Falling on Cedars). 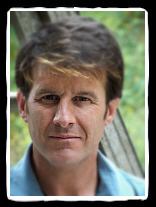 JIM VINES (Writer) is a native New Yorker who grew up in Los Angeles and attended Beverly Hills High School with House at the End of the Drive producer David Oman. His father, Lee Vines, was one of the top names in the voice-over business of the 1950s and 1960s (he was the voice of Password and Hallmark Hall of Fame) and his mother, Lillian Wells, was a fashion model and a starlet at Columbia Pictures.Vines developed his interest in the film business by writing, producing, directing and acting in many student films and TV productions in high school.Surviving on the wages he made as a waiter, still photographer, stuntman, and movie studio security guard, Vines continued to write, selling his first script, The Perfect Tenant, in 1997. (The movie was ultimately produced two years later. It starred Maxwell Caulfield, Linda Purl and Earl Holliman. )The opportunity of House at the End of the Drive grew from his previous relationship with producer David Oman, who was determined to turn the controversial paranormal history of his own new house into a feature motion picture.Vines, who is also a script consultant, presently has several movie projects in development.